Proceeding in the State House of Assembly has commenced in full swig with members deliberating over the newly promoted Rivers State Pension Reform bill 2019. The House had, penultimate week, deferred legislative business in honour of those who lost their lives during the just concluded presidential, guber and House of Assembly elections in the state. Speaker of the Assembly, Rt Hon. 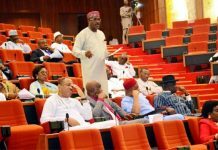 Ikuinyi-Owaji Ibani has underscored why the lawmakers had to honour those who lost their lives during the elections with a minute silence. With a Solemn mood, the House had to defer proceedings to last Tuesday when a letter from the Governor conveying the executive bill on the pension reform law was read on the flow of the House. Shortly after the bill was read, the leader of the House, Hon. Martin Amaewhule pushed for a motion for it to be adopted, and the bill without hesitation passed a first reading. According to Amaewhule, the bill is aimed at repealing the state Contributory Pension law of 2012. He opined that once it passes into law, it will address the short comings currently witnessed in the existing pension law. 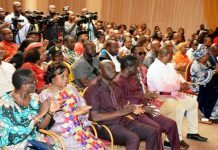 In addition, the speaker observed that it will end the pains of pensioners who over the years have suffered hardship due to their inability to access their pension contributions over the years. Ikuinyi pointed that the bill was a response by the State Government to the plight of retirees , as the administration of Chief Neysom Wike has the welfare of workers at heart. When the House resumed last Thursday, the pension reform bill took centre stage again as debate followed after the speaker opened the floor for contributions by the lawmakers . Majority leaders, Martins Amaewhule said the bill was historic as impediment in the old pension law will be removed. He said, “the bill has four major components, and it include the occurred, rights for those who have retired, secondly those who have not been covered will the included, thirdly employers contribution will be effected and fourth death benefits will also be computed. Amaewhule was of the view that many of these components were unable to be implemented due to shortfall in compliance the employer was unable to make contribution making it difficult for employees to access their monies. The majority leader observed that the bill will consolidate the old laws by injecting efficiency and thus if it’s assented to by the governor all set backs will be addressed. 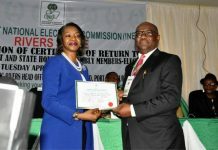 He added, “Let nobody be misinformed that pension is not being paid by the state government but because of the current situation it was difficult to do so”. 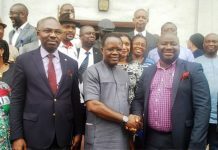 Other members, who contributed their views to the new bill include, Hon Michael Chinda, Sam Ogeh, Friday Nkece, Mathew Dike, Blessing Pepple, Enemi George Alabo, Christian, Ahiakwo, Deputy speaker Marshall Uwom, and minority leader, Benebo Anabraba. The bill is now at committee stage as preparation for public hearing commences in full gear.